New Zealand is a popular center of extreme sports Mecca, with major draws for the adventure traveler including swimming with sharks, whale watching, bungee jumping, white water rafting, caving, para-gliding and sailing. The remote stretches of the pacific coast highway are a classic drive, taking visitors deep into Maori country, where tribes still gather on Maraes and greet each other with ritual challenges and age-old speeches. You can even explore ‘Middle Earth’, a collection of tourist destinations around the country that made up the sets to the Lord of the Rings films, including the imposing Whakapapa Skifield (Mordor) and Mount Sunday (the panoramic capital of Rohan). The islands of Eastern Oceania are steamy paradises, each unique, but each home to swaying palm trees, white sand beaches and snorkeling to die for. East Timor – one of the world’s newest nations – is increasingly stable and ready to show daring travelers its tropical charms. Fiji’s up-market resorts, laid back outlook and staggering diving brings in the crowds, while yachting around the islands of Tonga and Samoa bring you face to face with tribal cultures and blasting cliff-side blowholes. For all the vibrant mix of culture, however, it’s the crystal seas and sublime beaches that are unforgettable and peerless. The first settlers arrived in Oceana around 50,000 to 30,000 years ago. The group of people that established the first human settlements in Australia are believed to have been one of the earliest human migrations out of Africa. The earliest human remains found in Australia date back around 40,000 years. Tasmania was reached by human settlers crossing a land bridge from the last ice age around 40,000 years ago. Modern Polynesian people can trace their ancestry to a group of Austronesian people that have prehistoric origins in the Malay Archipelago, and Taiwan. These groups spread south from Taiwan around 3000 to 1000 BC. Micronesia was first settled several millennia ago, though determining the exact origin and arrival period of the first human settlers continues to challenge prehistorians and scientists. The earliest archaeological evidence of civilization in Micronesia dates back to 1500 BC. A chieftain based system is believed to have been established around 4,000 years ago. Then, between 4000 B.C. and 2000 B.cC, settlers arrived from Southeast Asia and established the Chamorros culture. During the 1500s, the first Spanish expeditions began reaching the Pacific Ocean and discovered parts of Oceana: the Marshall Islands, Palau, Tuvalu, the Marquesas, the Solomon Islands, the Cook Islands, and the Admiralty Islands. The first document European arrival in Austria occurred in 1606. Greater numbers of Europeans followed, and eventually began colonizing the area. A large part of Ocean became part of the British Empire, which colonized Australia in 1788, Fiji in 1872, and New Zealand in 1840. Tahiti and Tahuata became French protectorates. French Catholic missionaries were sent to spread the Christian faith. Under Napoleon III, France also took control of New Caledonia. Spain claimed the Marshall Islands in 1874. Colonies were establish in New Guinea by Germany in 1884, and in Samoa in 1900. The United States also claimed territories in the Pacific: Baker Island, Howland Island, and Hawaii. However, discord broke out between US, Germany, and the United Kingdom over Samoa, leading to the Tripartite Convention of 1899, which resulted in the formal separation of the territory between Germany and the United States. Australia started out as a British penal colony, but after 1788, most settlers were free people, primarily from Britain and Ireland. Convict settlements were generally located on the east coast, whereas the south was primarily made up of settlements made by free settlers. The Gold Rush of the 1850s also attracted greater numbers of people. A self-governing British dominion was established in 1901. New Zealand opted out of the dominion. Germany and Austrian eventually lost their territories in Oceana during World War I. The Pacific then saw immense warfare during World War II, primarily between Japan and the United States. Japan’s attack on Pearl Harbor on the morning of December 7th, 1941 prompted the United State’s entry into World War II. Japan invaded countries across Oceania, including New Guinea, the Solomon Islands, and others, until their defeat in 1945. During the war, Oceania was also used as a site for nuclear testing by the United Kingdom, the United States, and France. These tests had devastating consequences for the people living there, forcing some to evacuate from their ancestral homelands. During the 1940s, Polynesians were granted French citizenship and the island became an overseas territory (rather than a colony). in 1959, the United States incorporated Hawaii as a US State, and in 1979, the United States recognized the independent government of the Marshall Islands. Australia gradually become a major economic power as quickly developed industries based on natural resources, as well as agriculture and manufacturing. For this reason, Australia made powerful and significant contributions to the Allies during World War I and II. It also made major, though controversial, contributions to American war efforts in Korea, Vietnam, and Iraq. British parliamentary power in Australia officially ended with the Australia Act in 1986, though the Queen of Australia retained full rights to her power. Oceana is made up of four regions: Melanesia, Micronesia, Polynesia and Australasia. This area spans around 8,525,989 square kilometers. Australia is the largest country in Oceania and the sixth largest country in the world. 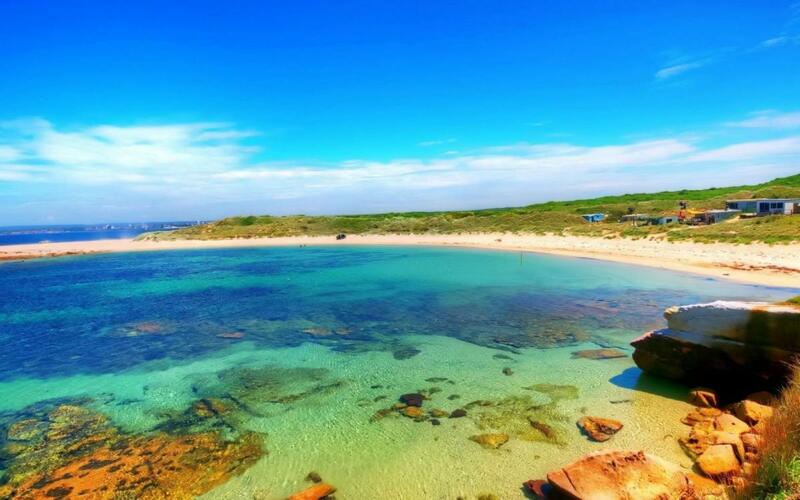 Australia is well known for its wide open beaches and deserts, also known as the Outback. However, Australia is also home to major urban centers like Sydney, Melbourne, Brisbane, and Perth. The largest land area within Australia is Western Australia, but Victoria and New South Wales are the most populated states. Australia also has a very multicultural population - more than one quarter of the population was born overseas. New Zealand is part of Polynesia and known for its beautiful mountains and pasture land, as well as unique fauna like the kiwi and a nocturnal parrot call the kakapo. The islands making up New Zealand are not heavily populated, but they are easily accessible as infrastructure is very modern and up to date. As a former British colony, New Zealand is mostly made up of people of European descent, but there is also an important indigenous Maori group, a growing Asian minority, and smaller groups of Polynesians. Papua New Guinea is an island nation just south of the equator. It has a tropical climate, though the highlands have cooler temperatures. It is located on the Pacific Ring of Fire, which is the point at which several tectonic plates collide - as such there are many active volcanoes in the area, and eruption occur frequently. Earthquakes are also common. People commonly travel to Papua New Guinea for its extensive trekking opportunities. Polynesia is made up of several tropical islands spread across thousands of miles in the South Pacific. It is the most eastern region of Oceania. The islands nations within Polynesia include American Samoa, Cook Islands, Kiribati, French Polynesia, Niue, Samoa, Tonga, and Tuvalu, as well as several smaller territories belonging to larger nations (e.g Hawaii, Easter Island, among others). New Zealand is actually also part of Polynesia, although due to it’s large size, it is sometimes characterized as a separate region. American Samoa is an unincorporated part of the United States, and shares the same culture, ethnicity, and archipelago as Samoa. The Cook Islands is an archipelago made up of fifteen islands spread out across a vast distances of 2.2 million square kilometers. Kiribati is a remote and poor country. French Polynesia is composed of three separate islands known for their beautiful beaches: Bora Bora, Tahiti and Moorea. Melanesia shares strong cultural and ethnic ties with Papua New Guinea, and is home to a popular vacation destination, Fiji. Fiji has beautiful beaches and is known for it’s famous coral reefs. New Caledonia (France) is a short flight from Australia with a local culture strongly influenced by France. The Solomon Islands are a popular historical destination, as they were the site of major Second World War battles. The main island there is Guadalcanal. Vanuatu was under British and French control until 1980, and has well developed infrastructure. Lastly, Norfolk Island is a small island with a population of only about 2,000 people. Technically, Papua New Guinea is also a part of Melanesia. However, due to it’s larger size relative to the other islands and nations of Melanesia, it is often addressed separately from them. Micronesia are less popular amongst tourists and business travelers, though Palau is a beautiful destination known for its kayak tours and lake full of jellyfish. Micronesia also includes the Federated States of Micronesia, Kiribati, the Marshal Islands, Nauru, the Northern Mariana Islands, Guam, the Midway Islands, and Wake Island. The Marshall Islands are the site at which the United States conducted nuclear tests. Nauru is the world’s smallest independent republic, and Guam is a popular vacation destination with beautiful beaches. Guam is also an American controlled territory. Australia and New Zealand are the primary hubs of airline travel from overseas, though some of parts of Oceania do also offer flights from overseas. Some of the smaller islands with less of a tourism industry are more difficult to get to - there are even some that are completely deserted, and require the use of specialized services. Others simply do not have frequent flights and patients is required to reach them. Cruise ships or private yachts are another way travelers get around Oceania. Popular discount airlines in the area include Air Asia X, Air Asia Indonesia, Scoot, Tiger, Jetstar Airways, and Virgin Australia. Visitors will also generally require visas in advance of their travels. Australia and New Zealand also have strict quarantine laws, so you must be careful to declare any animal, vegetable, or food related items. Fines will be applied if an items fails to be declared and is discovered. Many residents of Australian cities enjoy a higher standard of living, particularly Sidney, which is ranked one of the most livable cities in the world. Melbourne also ranks highly, and is known as a center of finance in the Asia-Pacific region. In New Zealand, Auckland and Wellington are also considered some of the world’s most livable cities with a high standard of living. Due to historical European influence, many European languages are spoken in Oceana, primarily English, though indigenous languages and cultures continue to survive, such as that of the Maori in New Zealand. Each nation also uses its own independent currency. Australia’s economy is the largest in the region, as well as being one of the largest in the world. Mining, electrical and manufacturing industries dominate Australia’s economy, as well as New Zealand. Australia also depends highly on its tourism, education, and financial service industries. Tourism contributes around $70 billion to the economy every year. It’s largest exports are iron ore and coal, with certain goods like wheat, beef, and wool gradually becoming less important. Australia is also a center of finance, with the largest stock exchange in the South Pacific located in Sydney. The minimum wage there is also higher than in the United States. New Zealand’s economy is primarily dependent on agriculture. For this reason the importation of even small quantities of food is tightly controlled. Health system vary between nations, but the quality of care in New Zealand and Australia tends to be high and comparable with Europe. In Australia, 000 is the number once must dial in order to access emergency services. However, one must be careful in less densely populated regions, because they can be quite far from medical facilities. For this reason, evacuation procedures are well established. Those in Australia must also be wary of venomous and dangerous creatures, such as snakes and spiders, jellyfish, the blue ring octopus, and crocodiles, as well as certain dangerous flora, like the Gympie bush. See an error? Want to suggest something special? Feel free to take part in a discussion on Oceania. Currently there are no places in Oceania.